the multi option deposit (MOD) account. 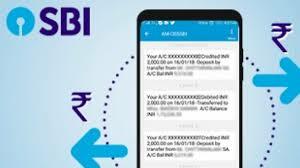 In an SBI savings plus account, any surplus fund above a threshold limit from the savings bank account is transferred automatically to a fixed deposit (FD) opened in the multiples of Rs. 1,000, according to the lender. The rate of interest for SBI's savings plus account is same as applicable to SBI's savings bank account. Currently, SBI offers an interest rate of 3.5 per cent on deposits balance up to Rs. 1 crore. The lender offers an interest rate of 4 per cent on deposits above 1 crore. Any surplus funds retaining a minimum of Rs. 25,000 in savings bank (to be set up by the customer) are transferred as fixed deposit (FD) with a minimum of Rs. 10,000 and in multiple of Rs. 1,000 at one instance, the lender noted. This means that the minimum threshold limit for transfer of multi-option deposit (MOD) account is Rs. 35,000.